Measuring the amount of microplastics in our oceans is the first step toward addressing the many problems that scientists believe these miniscule pieces may be causing to the environment and human health. These tiny plastic particles, between one micrometer and one millimeter in diameter, are often saturated with toxins, giving them destructive potential not only to pollute the water and land, but also to work their way up the food chain. Lou Kratchman is leading Draper’s efforts to develop a sensor to measure microplastic pollution, the first step toward a solution. He collaborated with the Environmental Protection Agency (EPA) in the summer of 2018 to test Draper’s prototype sensor near Tern Island in the Pacific Ocean. Sheila Hemami heads Draper’s Global Challenges initiative, which uses Draper’s engineering expertise to address the world’s pressing social and humanitarian challenges. Read more about their current and future efforts to help address the microplastics problem in the interview below. Q: How did you become involved in this project? Lou: I’ve worked on a few different sensor systems here at Draper, including several microfluidic systems, so I was aware of advanced tools that could be useful for real-time measurement of microplastics in the field. From my experiences working with cross-disciplinary teams to rapidly develop sensor systems, I saw an opportunity to make an impact on an emerging problem. Q: What makes Draper a good fit to tackle the microplastics problem? Lou: Draper has deep experience developing sensors for reliable operation in very challenging environments and for detecting very faint signals amid severe noise. 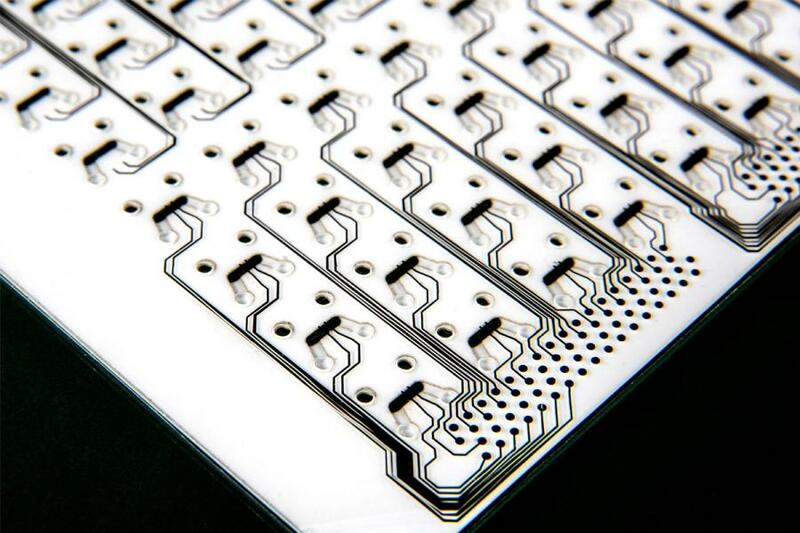 For example, we’ve developed several microfluidics platforms to manipulate and measure the properties of individual cells for biological applications, and this experience can be leveraged for sensing microplastic particles. Our staff also has strong competencies in engineering disciplines such as optics, electronics and mechanical engineering, which complement our microfluidic experience and will be called upon to engineer a robust sensing system for field use. Q: What's the problem with current methods for collecting microplastics data? Lou: The existing methods are effective, but slow. Water samples are transported back to land for a long and expensive process of counting and determining the types of microplastic particles contained within them. Sample collection and processing methods also lack standardization, so it can be challenging to compare studies from different labs. Our partners at EPA Region 9 are working to develop standards that will guide collection and processing of microplastics data. Our focus is on developing a platform to generate intelligible data quickly, reliably, with broad geographic coverage and in conformity with standards, such as are being developed by the EPA. Autonomous underwater vehicle design concept implementing Draper's microplastic sensor technology. Q: What are your goals for this sensor? Lou: We want the sensor to measure accurately and operate reliably in various field environments. Ultimately, we are concerned with correctly counting the number of particles within a given volume, measuring their sizes and also determining the polymer type of each particle. 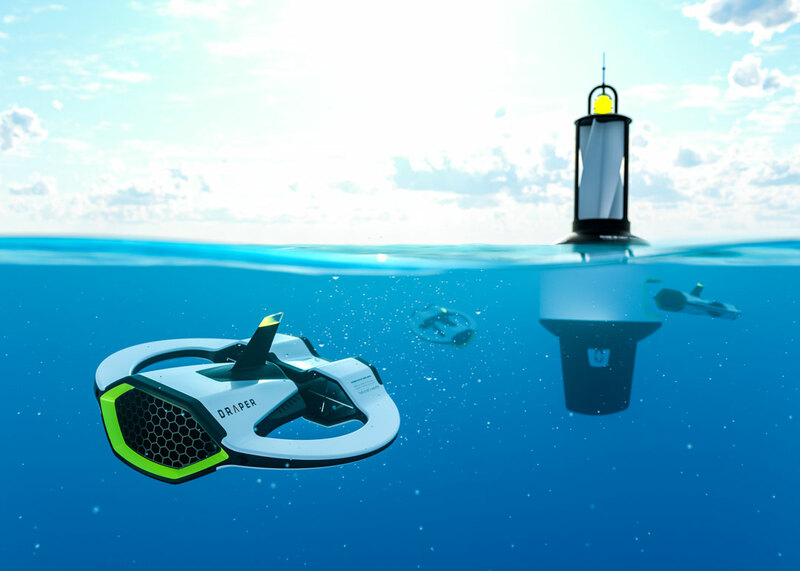 We envision a range of possible use scenarios, ranging from fixed installations of sensors on docks, buoys, boats or even autonomous surface and subsurface vehicles. Q: What are the major challenges in developing a microplastics sensor? Lou: A microplastic-sensing system requires high reliability to be useful in an offshore environment, which can be quite punishing on sensitive components. For example, saltwater and spray are notoriously corrosive, so delicate components that function well on a lab bench need to be packaged with great care to survive at sea. The greatest challenges, however, are in reliably detecting microplastics. The particles come in a range of shapes and colors, are coated in biofilms and are surrounded by a soup of plankton and organic debris. All these factors equate to noise, which complicates measurement. Q: Why did you choose Tern Island for testing with the the EPA? Lou: The EPA has been monitoring Tern for several years, monitoring organic pollutants such as PCBs. The island is very far from urban areas, over 500 miles west of Honolulu, has no permanent human residents, yet is littered in plastic waste, which we witnessed in abundance. The island is also a wildlife refuge for several sea bird species and Hawaiian Monk seals. It was striking to see Monk seals lounging near crushed plastic bottles, especially after spending days on the open ocean travelling to the island. With a combination of plastic waste and vulnerable wildlife, Tern made for an excellent starting point and test case. Q: What did you learn from testing the sensor at Tern Island? Lou: Support from the Wallace Research Foundation enabled us rapidly to prototype a sensor and to stress test in the challenging environment for which it was designed. We acquired a set of water samples with a submersible pump near the island, and we sampled beach sand. Various field repairs and modifications were necessary, which alerted us to potential weaknesses in equipment and helped us to think critically about needed functions. There is really no substitute for field testing — we are folding lessons learned into our ongoing design efforts. Pictured is a submersible sampling pump used to collect microplastic particles. Q: What are you doing now to advance the development of the sensor? Lou: One advantage of the sensor prototype we tested at Tern was that it could be rapidly assembled from mostly off-the-shelf components. However, we are investigating several new sensing approaches which may require more-customized components, as well as alternative fluid-handling configurations, so we will update our approach as our knowledge develops. Q: What will Draper do with the data once they are collected? Sheila: We’re planning something similar to the World Air Quality Index, which uses sensors run by government agencies around the world to show concentrations of particulate matter in air, and it’s updated every 15 minutes. We were inspired by the World Bank Group's position, which is that all environmental data should be open and accessible to everybody because that creates transparency and hence collective accountability. By working with the EPA, we are ensuring that the sensor that we design will meet measurement standards currently under development. Our intention is that the data gathered worldwide will be available online, in near real time, on the Plastic Particle Pollution index, or PPPi. Lou: As the network comes online, it could be used to examine how microplastics are influenced by ocean currents, major weather events like tsunamis, or even weather phenomena like El Niño. Q: What does the future hold for Draper’s microplastics project? Sheila: The Wallace Research Foundation has generously provided the inaugural support for the development of a generation-2 sensor, which will have continuous, in-situ measurement capability and will be field-tested with our first-deployment partners. We have a commitment from Common Seas, a social enterprise committed to stopping ocean plastic pollution, to deploy the generation-2 sensor design in commercial ships in partnership with a shipbuilder. On the outreach front, we’ve partnered with Mystic Aquarium to educate the public on the microplastics issue. We jointly designed an interactive water tank with microplastics and displayed it at Draper’s Engineering Possibilities 2018. Mystic Aquarium also will display it in spring 2019. Ultimately, we’ll set up a system to provide Mystic Aquarium visitors with real-time information on microplastics from Mystic Harbor. We’re also teaming up with New England Aquarium in Boston and Shedd Aquarium in Chicago, who are taking strong roles in advocacy around plastics in the ocean and in the Great Lakes, respectively. *This transcript has been edited for length and clarity.